Kezar Innovations is a company named after the quasar, which is the brightest object in the universe. It has been making waves in social media as the Batangas startup that turned a profit in less than a year. In its first year of operations, Kezar secured Php7.5 million in revenues and contracts, returned its investments, and is now poised for scalable and dynamic expansion. But how did Kezar start and what are the values and motivations that push the team to work hard and deliver? How did their humble beginnings and noble dreams of making technology accessible to the Filipino influence their success? Edward Solicito, Kezar’s CEO, was a scholar of the pioneering batch of the Asian Institute of Management’s (AIM) Master of Science in Innovation and Business (MSIB) program. Coming from a relatively unknown school, he found it challenging to be alongside graduates of Mapua, La Salle, UP, and Ateneo. Solicito has always been into prototyping and technology. His first startup, Filipino Innovators Incorporated, created the JARVIS Helmet, a smart helmet with I-TEC or Impact Triggered Emergency Call. Filipino Innovators Inc did not get investor support so they pivoted and became a hardware prototyping service. In hindsight, Solicito realized that having good tech is not enough because investors can see if the underlying business model won’t stand. He enrolled in the MSIB program because he knew that it could provide the business acumen he lacked. During Demo Day when the MSIB students pitched their startup ideas to potential investors and partners, Solicito and Jon De Oman?a, Kezar’s co-founder, secured funding for StudyPlay, a startup that creates educational toys. Later that week, Solicito and Paul Galacan, Kezar’s CFO, were offered funding for Trakaro, a travel and restaurant sustainability rating app which won a hackathon challenge organized by AIM’s Center for Tourism. Upon sourcing the hardware and software needs to support StudyPlay and Trakaro, two more startups were born: Kezar3D (a 3D printing service) and KezarAtlas (a mobile app development service). These four startups formed Kezar Innovations. “Kezar3D is the production company for 3D printing prototypes. StudyPlay is the proof of concept that the quality of our 3D printed prototypes can be developed into commercial products. KezarAtlas is an app development company. Trakaro is proof of the competence of the team that they can actually make an app,” says Solicito. By placing many startups under the Kezar umbrella, the startups are able to spread out costs and share resources. Thus, they were able to afford to hire a bigger management team where each person handles one startup and a specific business process. Kezar’s management team is composed of Solicito as Chief Executive Officer, Galacan as Chief Finance Officer, Kat Chua as Chief Operations Officer, and Jo Anne Paril as Director of Sales. Most Filipino startups cannot afford to have multiple people handling these roles. “We approached the first investors of StudyPlay and told them we wanted to expand Kezar into a design and development firm to include Kezar3D and Kezar Atlas. It made sense to them so they invested the first Php100,000. This is what we used to buy our first 3D printer,” says Solicito. Things weren’t always a walk in the park. Kezar’s first office was a 10-square meter space in Tanauan, Batangas with room for only three people. They had to share one table with a 3D printer on top. Their interns stayed at the common area outside their office and worked on personal laptops to develop Trakaro. 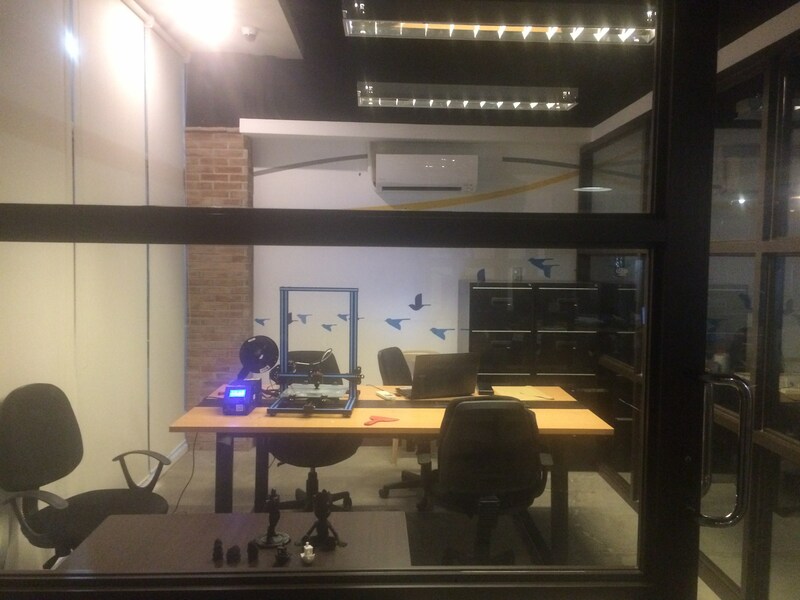 The team created the first prototypes for StudyPlay in this tiny office where they did everything from 3D printing to drilling and grinding. Now, the startup has everything it needs, from high-end computers to equipment like 3D scanners and virtual reality headsets. With eleven 3D printers, they have the biggest 3D printing facility in South Luzon and one of the largest capacities in the Philippines. Their printers can print 36 million cubic millimeters so they are able to 3D print bigger pieces like tricycle parts. If you can create a 3D model, they can print it. Aside from their vision for their community in South Luzon, they have a bigger vision of supporting startups by providing them with hardware prototyping and app development services through Kezar3D and KezarAtlas. “We need to let more people know that these services exist. If you need something 3D printed, Kezar3D can do it at one fourth of the usual cost. If you need an app for your startup, KezarAtlas has a StartApp now, pay later program. You can get an app in 60 days with no upfront cost. For 6 months, you can develop your business with a working application. Billing will only come in on the 7th month, and payment can be divided into 12 months, 24 months, or 36 months. If you really believe in your startup, call KezarAtlas and we’ll make your app for you,” says Solicito. 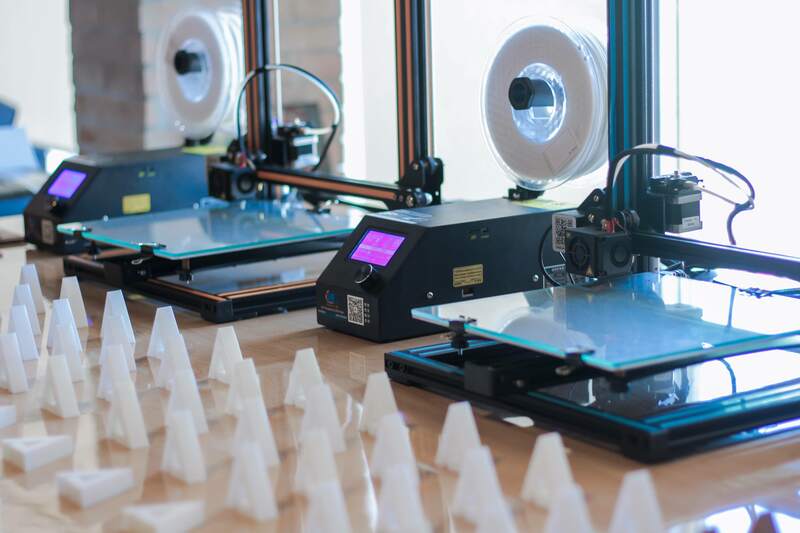 They aim to democratize 3D printing to the point where you can bring a USB with your 3D models to the mall, and pick up the prototype of your tech the next day. “There are a lot of Filipinos who have never even touched a 3D printed object even though the technology is available. Articles say ‘innovation is coming’, ‘3D printing is now available’, ‘3D printing will disrupt multiple industries’ but we don’t see it. We can’t touch it. There is no access to it. Students want to be able to create things but what’s the use of their designs if they can’t make a prototype of it,” says Kat Chua. Amidst all of these goals, Kezar also has a vision for Filipino youth. StudyPlay allows Filipino kids to touch and play with the latest tech so that they can be confident in using these technologies to develop their own innovations. They are inspiring the next generation to not be afraid of science and technology and to even embrace it by giving them the experience of turning their own designs into reality using the latest tech. Kezar Innovations is celebrating its one year anniversary on April 6 at AIM where everything started. Learn more about the company at https://www.kezar.co/. Aya Cariño-Valdez is a technology and business writer at the Asian Institute of Management.